Learn the tools and techniques you need to make better decisions through data, and land a job in one of the most sought after fields in tech. 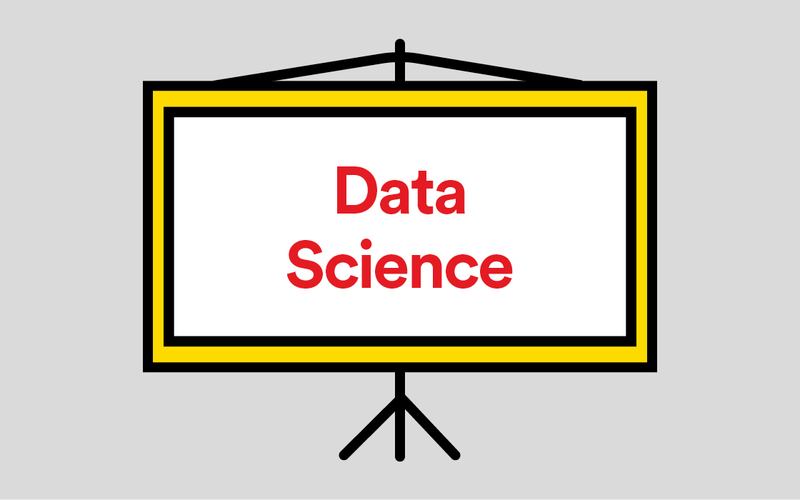 Create predictive models by learning to wrangle, analyze, and visualize data from our team of professional Data Scientist instructors. Develop hard skills like Unix, Git, SQL, Python, machine learning, and modeling techniques while creating your own data projects and applications. Take advantage of the growing demand for data and use the guidance and resources of our in-house career coaches to help you find work. Our Immersive students graduate ready to pursue careers in many different areas of the data profession—including data analysis, business intelligence, and data science. We connect each of our Immersive graduates to a career coach, job-readiness training, employers and professionals, and new opportunities to hone skills. Optimize your resume with support from an in- house career coach. Train for technical interviews and salary negotiations. Visit local companies and organizations that focus heavily on data. Showcase your work at Meet & Hires and other events. Through presentations, discussions, and interactive lessons, we break up our daily schedule to give you a rounded understanding of the field. Learn key skills and methods through lectures, discussions, and activities. In this program, you’ll take on real world problems by analyzing data sets for insights and presenting findings using statistics, programming, data modeling, and business knowledge. Gather, store, and organize your data using your basic data science toolkit: SQL, Git, and UNIX. Explore the differences between supervised and unsupervised learning through the application of various modeling techniques such as classification, regression, and clustering. Apply your analysis and modeling skills to real world data problems in fields like finance, marketing, and public policy. Learn to create reproducible presentations and reports and use data visualisation tools to present your findings to key stakeholders. These professionals are innovators in this influential field and will help you navigate its inner workings, technologies, and trends. Find out if this Immersive is right for you and your goals. Chat with the GA team, discover the curriculum details, and get a glimpse into student life. People are using data to take on the world’s biggest business and social problems—everything from public policy and robotics to dating apps. As a result, organizations are moving quickly to build their own in-house data teams. Over the last four years, jobs requiring the use of data analysis and data management skills and tools have doubled. The program covers skills including: Git, SQL, UNIX, Python, machine learning, data modeling techniques. Who will I be sitting next to in this course? Professionals, analysts, advanced degree holders, researchers, software engineers, and individuals interested in shifting gears to work in data. People as passionate about learning as you are. 12 weeks of training in Data Science skills, methods, and practices on site at our campus. Access to our Outcomes team, a dedicated group of career-building pros who can help you land a job after graduation. Access to our proprietary job-preparation programming and networking opportunities. Call us at +1 (404) 334-7858.